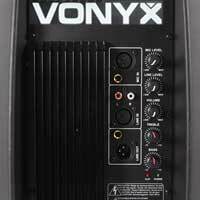 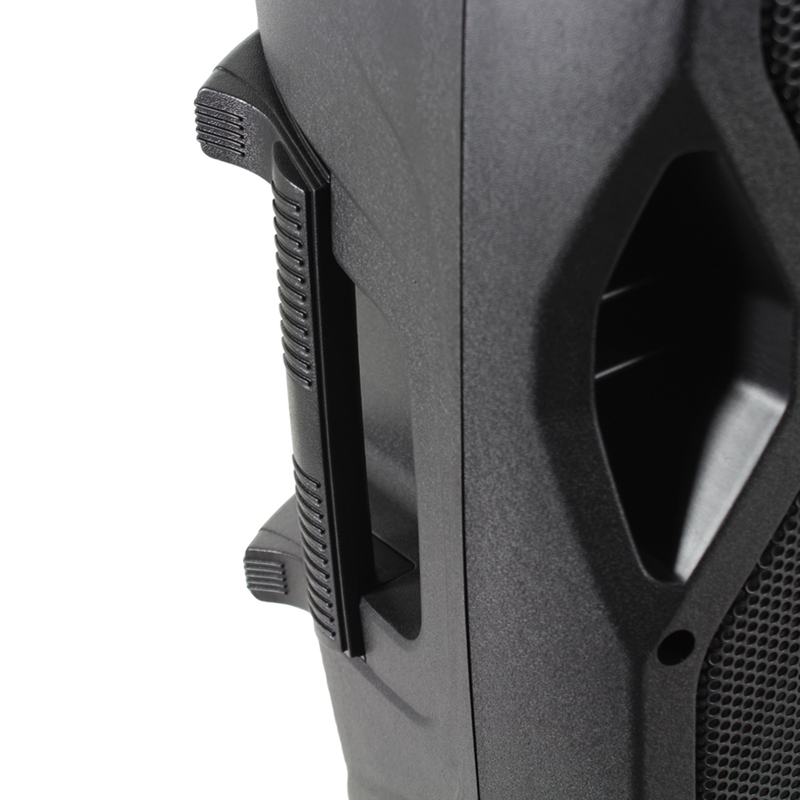 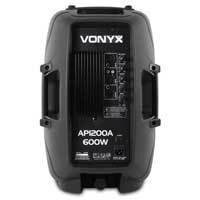 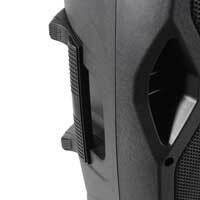 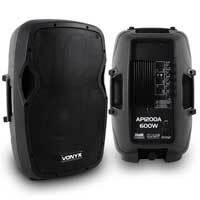 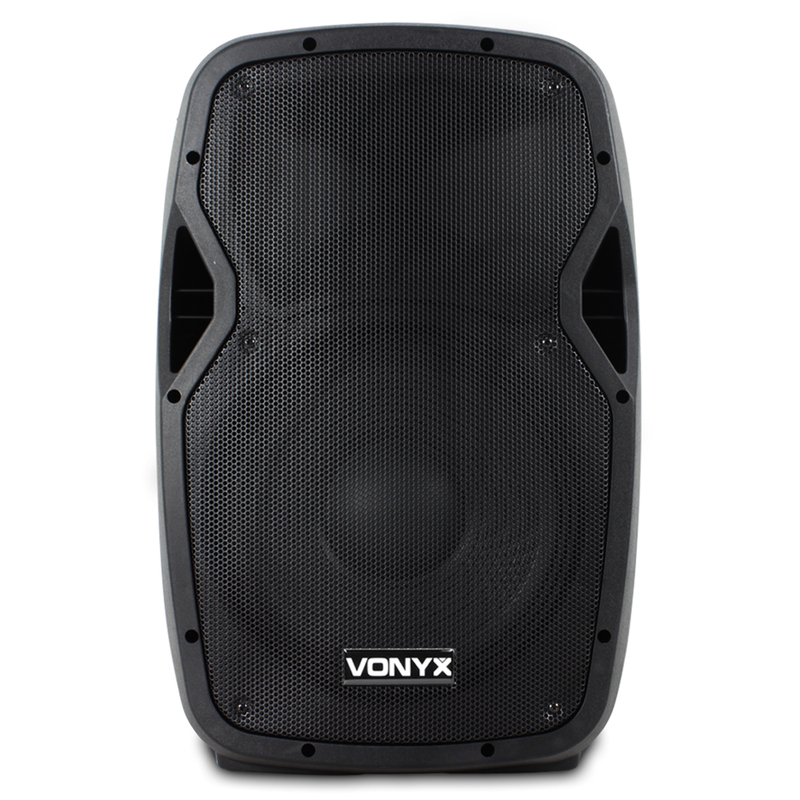 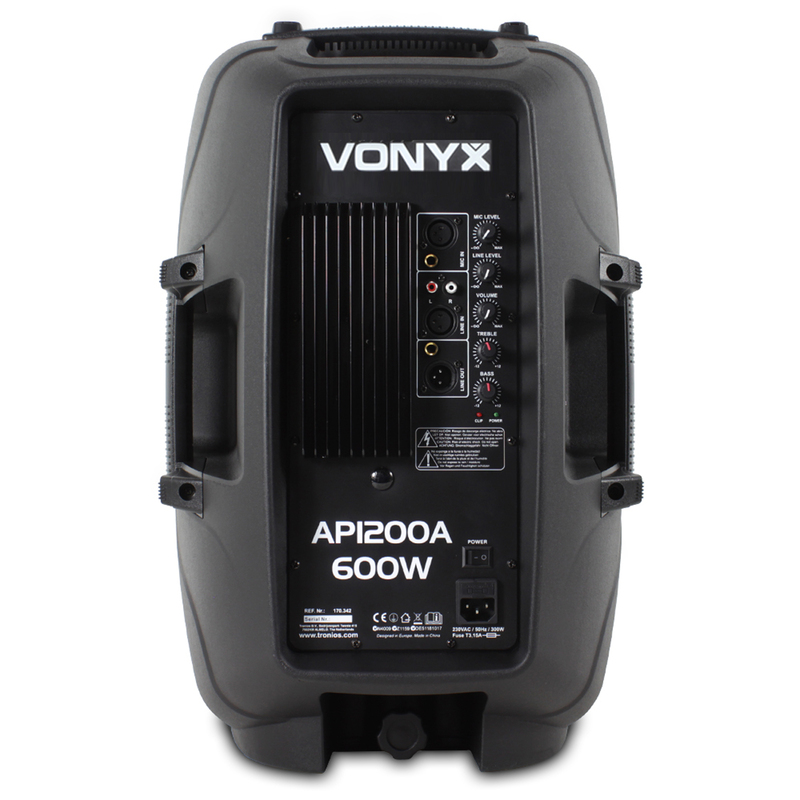 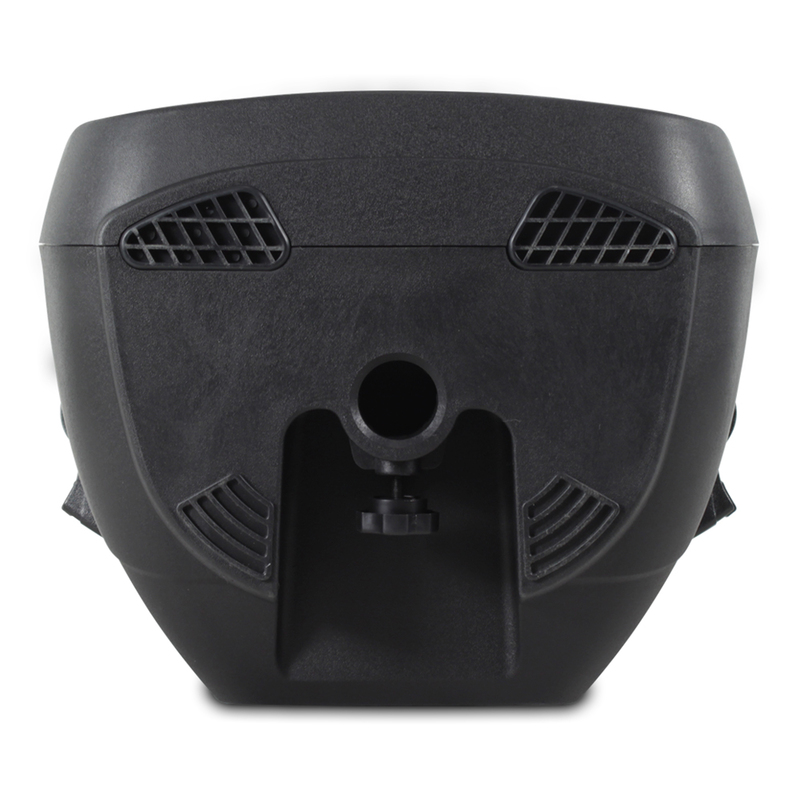 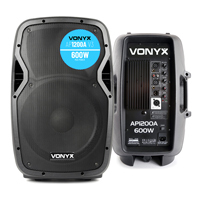 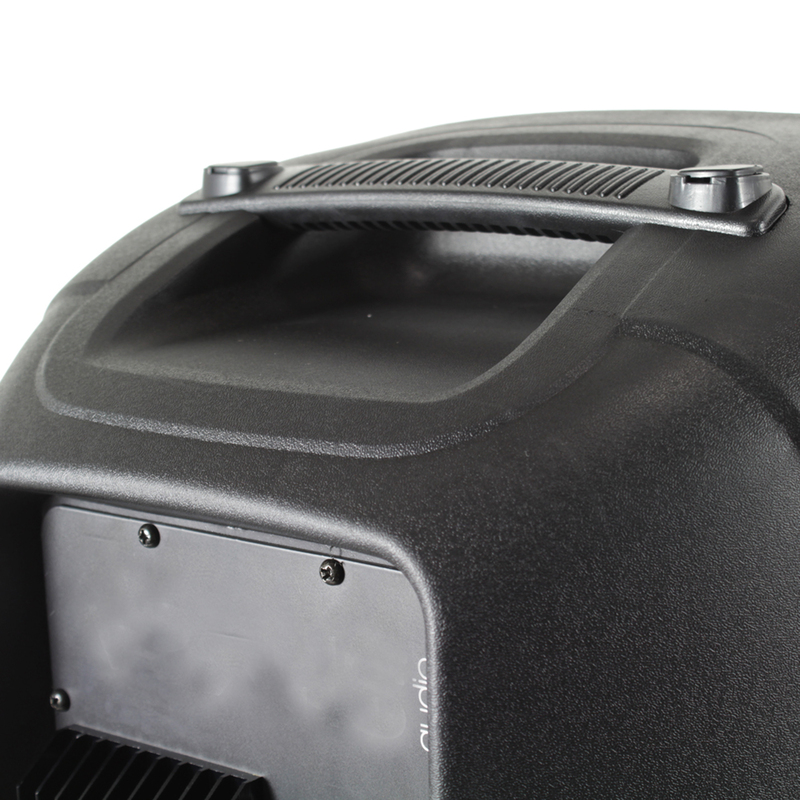 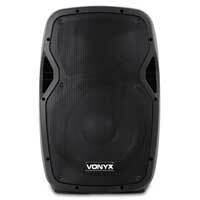 New from Vonyx, the fantastic AP1200A 12" active speaker is a versatile, lightweight and powerful unit, great for small parties, mobile DJs, small bars, venues and more. 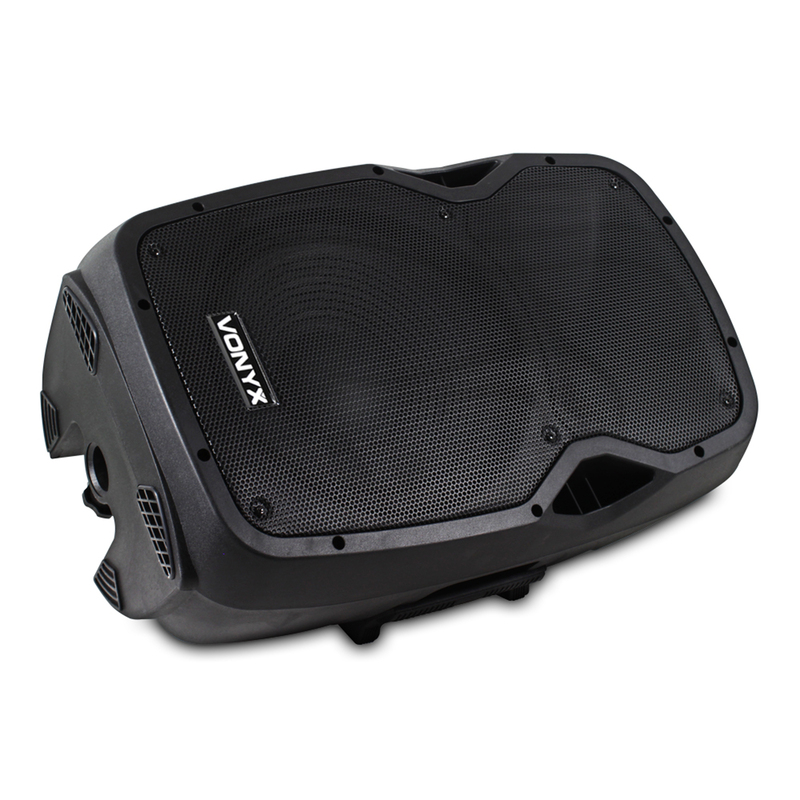 The powerful mid-low driver and dynamic compression horndriver combined provide a maximum power output of 600W, with it's built-in crossover and wide dispersion horn you're sure to get great sound at any volume. 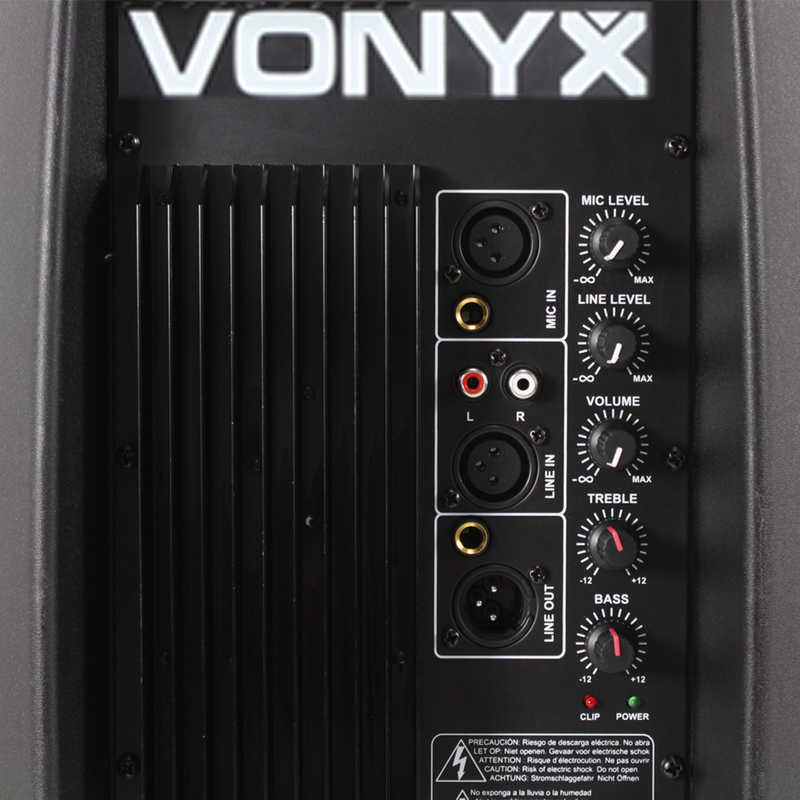 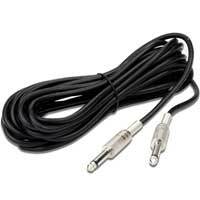 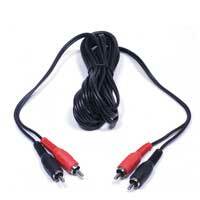 The XLR and 1/4 Jack microphone inputs, as well as the phono line input allows you to connect microphones and external devices such as MP3 players, laptops and much more. 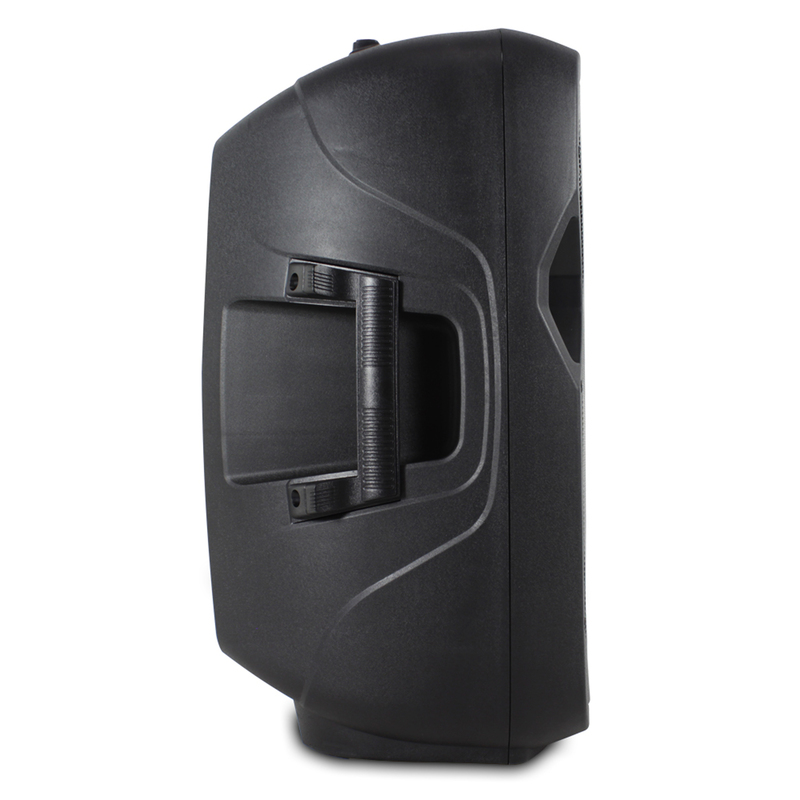 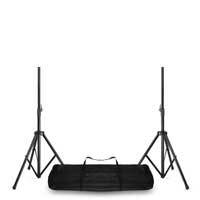 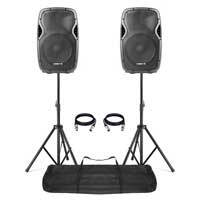 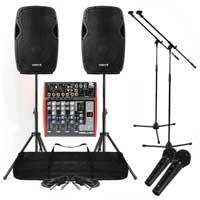 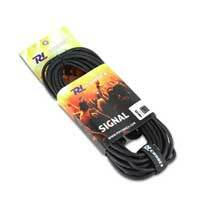 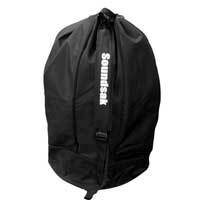 With a top hat for quick and easy pole mounting and mouldings to allow the speaker to be laid down on it's side, this can be used as a Front-of-House speaker or as a floor monitor for performing bands/artists/DJs, with EQ controls to really craft your sound.